The eldest son in a famous clan of jazz musicians, saxophonist/composer/educator Branford Marsalis is enjoying a robust and variegated career. Known mainly as a jazz artist, he is equally at home with classical music and contemporary pop. He spent two years as musical director of “The Tonight Show With Jay Leno” and another two performing and recording with Sting (“Dream of the Blue Turtles,” “Nothing Like the Sun”). He still performs with Sting on occasion. On Sunday evening, February 27, Marsalis will perform at Orchestra Hall with his formidable quartet. (This is not a star-saxophonist-plus-rhythm-section quartet, but an ongoing, provocative, stimulating four-way conversation.) He’ll share the bill with another famous New Orleans native, trumpeter Terence Blanchard, who will bring his quintet to the big stage. 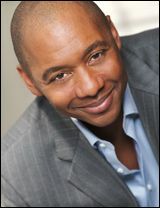 Marsalis has acted in movies (“Throw Mama from the Train”) and scored them (“Mo’ Better Blues”), hosted a radio show for NPR, and performed as featured soloist with orchestras around the world. He has made nearly two dozen highly influential recordings, won three Grammys, and founded his own record label, Marsalis Music, now home to artists including Harry Connick Jr., singer Claudia Acuña, and 2008 MacArthur fellow Miguel Zenón. In the thick of touring and traveling, Marsalis made time to answer questions by email. MinnPost: After 10 years of playing as a quartet with Jeff “Tain” Watts, you have a new drummer, Justin Faulkner. Can you tell us something about him? How did you find him? I’ve heard he’s very young. Stepping into your quartet is no small thing. What makes him right for it? Branford Marsalis: My cousin, Rodney Mack, is a classical trumpet player in the Philadelphia area, and he asked me to play a concert with him. In addition to the concert, there was a master class for high-school music students. Most of the students were unimpressive, except for Justin. He seemed like he had a lot of technique, yet was satisfied to keep ‘time’ on a slow blues, and not try to use the music as a vehicle to call attention to himself. It’s hard to find musicians 10 years his senior who are willing to do that. His growing up playing swing-based music – gospel and non-machine-driven R and B being the original swing-based musics – made his transition to jazz an easy one. And, his ears are amazing, so he can actually hear the song forms melodically, as opposed to harmonic or counting the bars. MinnPost: Will you mostly feature your new album, “Metamorphosen,” at your Orchestra Hall date, or will you dip into earlier recordings? Are you playing brand-new compositions? Is Justin composing? Marsalis: We don’t use pop culture models as a basis for what we do; so, touring, for us, is not primarily about record promotion. We tour all the time, not just after the release of a recording. As far as what we play, that’s up in the air. We have new songs, we play old songs, and songs by other composers. Marsalis: I started on the piano, and never really liked it. Once Wynton got a trumpet, and intended to join the school band, that was my way off the piano (no pianos in the school band). Because my dad was playing with Al Hirt’s band – a very popular musician at that time – he was able to get a trumpet from Mr. Hirt, and his clarinetist, Pee Wee Spitelera, was able to get me a clarinet for free. That settled it. MinnPost: Have the Marsalises been inspired or influenced in any way by other famous families of jazz – the Adderley Brothers, or the Brubecks, or the Breckers, or the Heath Brothers, or the Jones Brothers? Marsalis: My parents were never into the national obsession with families playing music, or joining the circus, or any of that stuff. There are a number of families in New Orleans – the Paulins, the Breauds, the Picous, the Frenches, the Barbarins, the Andrews, to name a few – where there have been musicians in the family for four generations. My dad was the first in our direct family. My mom’s side of the family had a number of famous musicians. My appreciation for musicians is always based on their skill, not their pedigree. MinnPost: Are there Marsalis children growing up today who will one day be jazz musicians? Marsalis: I have no idea. It was never anyone’s intent for us to be jazz musicians. During my teenage years, I was an R and B sax player, and knew nothing about jazz. Circumstance, and an advancing intellect, changed my course. It would be premature for me to predict the outcomes of my kids or my nieces and nephews. MinnPost: “Romances for Saxophone” (Sony, 1986) is one of my favorite CDs. You still perform and record classical music. You have also played pop/rock and hip-hop/jazz with your group Buckshot LeFonque. Do you prefer one genre over another, or is it all music to you? Do you think it’s important for musicians to play different kinds of music? Marsalis: I think it’s important for musicians to learn how to play different types of music; that will certainly make you better. But, virtually every musician I know in pop/rock can’t play anything else, and it is not expected of them to do so. It doesn’t make their music bad. But, personally, I have enjoyed all of my forays into different sounds, and appreciate what they have done for me. By far, classical music is the hardest thing I’ve done. That, and learning how to play jazz, were tough; but classical music continues to be an awesome, intimidating experience. That’s why I do it. MinnPost: Is there any chance that Buckshot LeFonque will return someday? MinnPost: You’ve won a few Grammys of your own. What did you think of this year’s Grammys? Marsalis: I haven’t watched the Grammys in over a decade. They aren’t for people like me. It’s a pop culture event. An Evening with Branford Marsalis and Terence Blanchard, 7 p.m. Sunday, Feb. 27, Orchestra Hall ($25-$60/$75 VIP). Tickets online or call 612-371-5656. The Branford Marsalis Quartet features Marsalis on saxophone, Joey Calderazzo on piano, Eric Revis on bass, and Justin Faulkner on drums. The Terence Blanchard Quintet is Blanchard on trumpet, Fabiani Almazan on piano, Brice Winston on saxophone, Joshua Crumbly on bass, and Kendrick Scott on drums. The Minnesota Orchestra does not perform on this program. On Sunday morning, Feb. 28, Marsalis will be the featured speaker at the Dakota Foundation for Jazz Education 2011 fundraising brunch, talking about his early influences and the importance of jazz education. The event will be held at the Dakota Jazz Club and Restaurant from noon to 3 p.m. Tickets are $75 each and include performances by Irv Williams, Ginger Commodore, and the Dakota Combo, fresh from winning the Mingus Spirit Award at the National Mingus Competition in New York City. Learn more and register online.